Can I set up a 'More Apps' screen on Tapdaq? 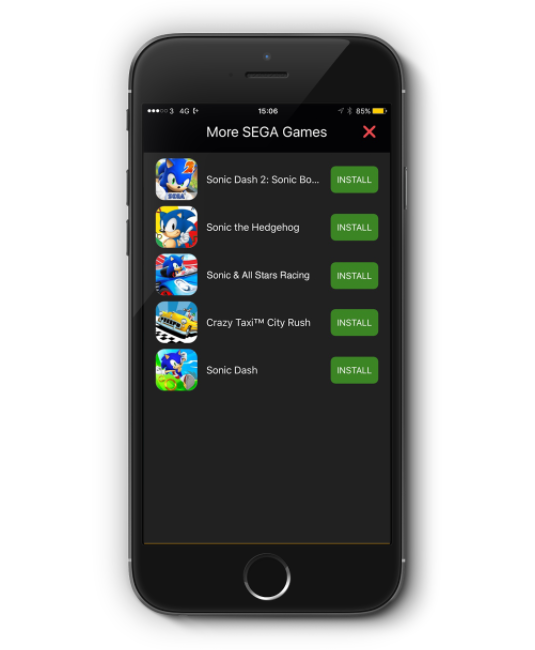 Learn how you can set up a 'More Apps' section within your app which is powered by Tapdaq cross promotion. You can use Tapdaq's cross promotion feature to create a More Apps ad unit within your application. To start off, please ensure you are using the latest Tapdaq SDK in your project, which can be downloaded here. Specific details on how to integrate the More Apps unit can be found in the examples section of the documentation of each SDK. In order for your More Apps screen to function correctly, you will need to ensure you follow the following steps on the Tapdaq dashboard. This will mean that when setting up your promotions, you can ensure a specific app is displayed at a specific location within your More Apps unit. 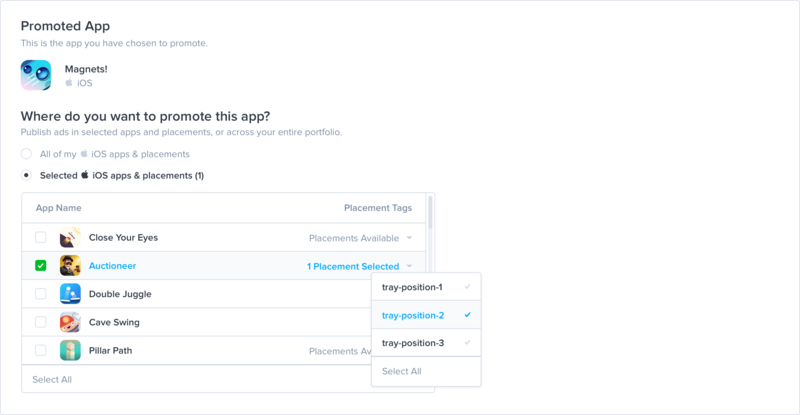 There is no maximum limit on how many placements are within your More Apps screen, but there is a minimum of three. Note: If you target a promotion to more than one placement, then the same app will appear multiple times on your More Games screen. When adding creatives for your More Apps screen, you'll need to upload a 750x750 pixel version of your app's icon. Finally, you can also customise the app title and call to action text by using the native settings section on the promotion set up page.